By accessing or using the site, you agree to abide by these terms and conditions. You understand that the sole authorized use of the Site is to obtain information about CR Meyer and no other use is permitted. If you do not agree to these terms and conditions, do not use the site. The information and data on this website is provided “AS IS” CR Meyer does not warrant that this website or the associated server is free of viruses or other items of a destructive nature. It is strictly prohibited to use or contact the site to disrupt or damage the site, its contents or its security measures or to harass or disparage CR Meyer or its customers. No unsolicited email (spam) may be directed to or through the site. 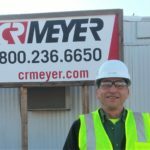 We assume no liability or responsibility for any material posted to the site by anyone other than CR Meyer.  This website may contain hyperlinks to other sites. When clicking one of these hyperlinks and leaving the CR Meyer website, please note that you are moving to another website which we do not manage. We encourage you to read the terms and conditions of these linked websites, as their terms and conditions may differ from ours. We cannot take any responsibility for the policies adopted by other websites.